Cunard and P&O Cruises, pioneers of world cruising, partner with Monetate to optimise the mobile checkout process and transform the customer experience. 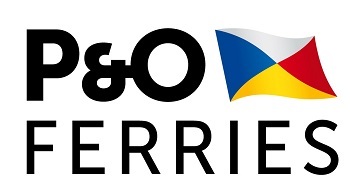 P&O Cruises and Cunard, pioneers of world luxury cruising are part of Carnival Group, the world’s largest cruise line with more than 100 ships and ten brands. As part of a programme to focus on the digital experience, P&O has seen 12x return-on-investment (ROI) after optimising its mobile checkout page using Monetate Test & Segment to significantly improve the customer experience and drive conversions. Delivering a better consumer experience is crucial in this rapidly growing sector, however, despite mobile visits accounting for 30% of digital traffic, mobile was generating only a small proportion of the company’s revenue. The organisation turned to Monetate, global leader in personalisation software, to help them improve their mobile user experience, and in turn contribute more to revenue. Cunard and P&O are part of a group of innovative organisations that are driving double-digit growth for Monetate in EMEA. P&O started with the mobile checkout page - a slow process that could take customers up to 30 minutes to complete. The team used the Monetate platform to quickly build and test an optimised mobile experience, reducing steps in the booking process by pre-populating fields based on data insights. For example, as 90% of all P&O bookings are for two adults looking for one cabin, this option was pre-selected to shorten the process. The 10% of visitors for which this was not a good fit could change the option and choose more suitable accommodation. As a result of these data-driven changes, the mobile conversion rate grew by 7.8%, increasing revenues to show an annualised 12x ROI from the personalisation platform. In parallel, Cunard also used Monetate to help drive business return on a high-impact, multi-channel marketing campaign. Cunard did a full-page takeover of the ‘Hello’ magazine website and social media presence, with the goal of pushing traffic to the Cunard website and achieving email newsletter sign-ups. Monetate Test & Segment was employed to create a bespoke, user and mobile friendly experience, targeting visitors coming from this campaign with a personalised experience. Page formats were modified and the content was reduced to optimise for mobile viewers. These changes generated 20,000 new prospects and converted more than 57% of visitors. “The strategic advice and insight brought by the Monetate team cannot be underestimated and while we are at an early stage in personalising the consumer journey, the improvements Monetate has enabled us to make have already generated significant revenue increases,” stated Blackburn. Cunard is only at the start of leveraging optimisation and personalisation to improve the customer experience. The organisation is now working on a deeper segmentation strategy, with the goal of creating bespoke experiences for different market segments and customers depending on where they are in the buying cycle. Through this step-by-step approach, Cunard will continue working with Monetate to further develop its focus of providing the best possible user experience across all its brands and keep customers coming back for more.